Hello Kawaii humans! You'll get your fix of stamp-action at Kawaii Market. 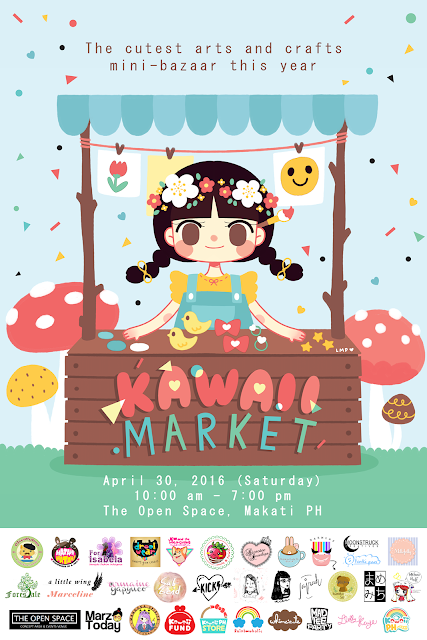 Kawaii Market is on April 30, 2016 at The Open Space, Makati. The kawaiiness starts from 10 am to 7 pm. Let us know you're coming on facebook. There will be a stamping booth where you can design your own postcard using my stamps. First fifteen (15) Kawaii Market early birdies get to enjoy the stamping station for free! I'll be doing stamp demos at different parts of the day. 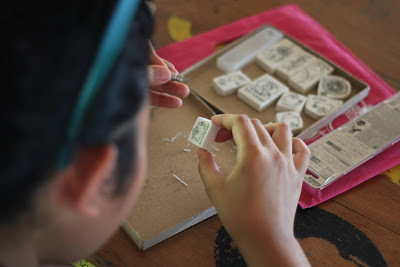 So you get to watch kawaii stamp sorcery in action! If you find yourself enjoying the stamps or the demo, I'd be happy to teach you how to make your own stamps! Pre-event registration fee to the stamp carving session is Php 300 while the walk-in rate is Php 350. Walk-in registration will be offered depending on the availability of your preferred session's slot. Slots are very limited so secure your slot by filling out the form below.